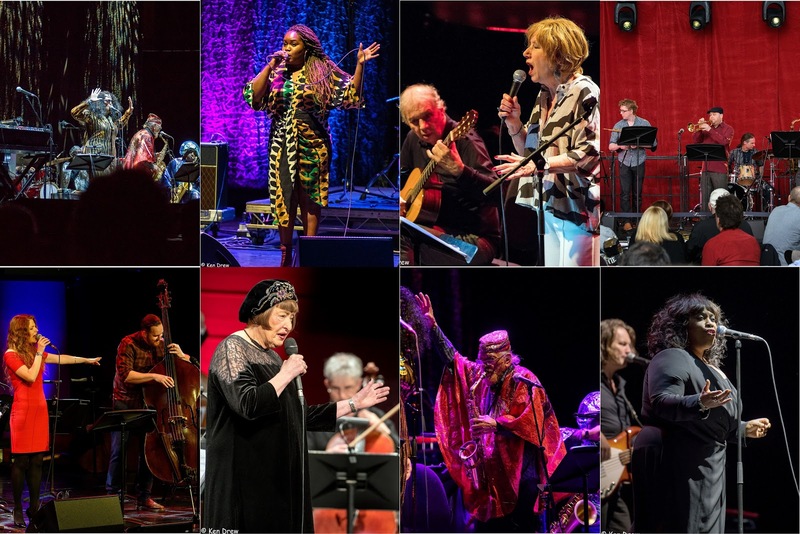 Twenty reviews and counting - possibly our best ever coverage of GIJF and, of course, Ken Drew's fabulous photos (see link at the foot of this post. Tony Allen: A Tribute to Art Blakey/Zara McFarlane/Tiptoe. Zoe Gilby & Andy Champion. Jay Rayner - An Afternoon of Food and Agony. Jazz Goes East - Sarathy Korwar. Norma Winstone & Ralph Towner. Sheila Jordan w. Pete Churchill Trio/Zoe Gilby & Andy Champion. Jambone w. Issie Barrett & James Brady. House of the Black Gardenia. Georgie Fame w. Guy Barker Big Band. The Interchange Dectet led by Issie Barrett. Ken Drew Festival Photos (ongoing).